After six months of planning, Jaguar Nation hosted its first annual Bark for Life event at Garrett Park on Saturday, Oct. 20. Students and members of the community participated in games, heard from different guest speakers and were able to purchase food and dog treats from vendors. The event was proposed by senior co-chairman Kate Backes after the opportunity for seniors to create a service project was offered in the Jaguar Leadership Core class. Backes decided to organize the event in conjunction with the American Cancer Society. The event itself was formerly held by the two counties, but will now become an annual event with Jaguar Nation. Backes and Morgan received sponsorship for the event from several local businesses, such as KC Canine, Barksville Bakery and U-Wash Puppy. All of the efforts from community members and the activities made the event fun for senior Ambria Shawger. 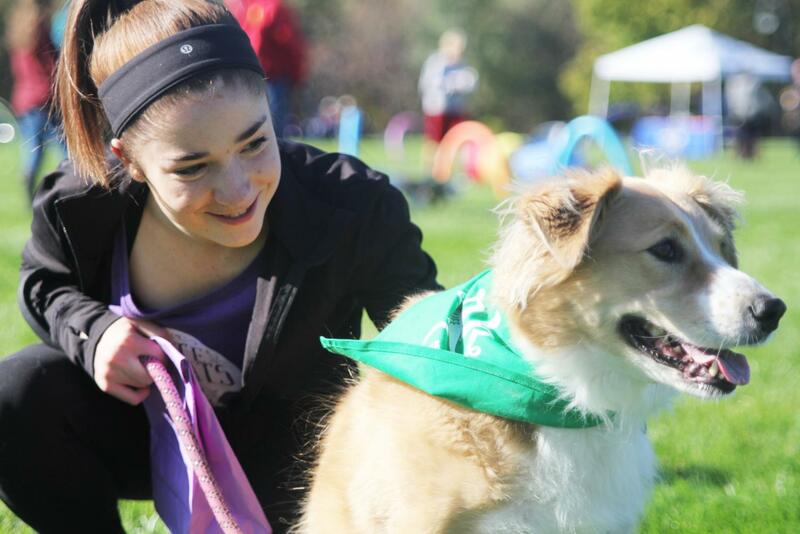 Similarly, freshman and Relay for Life sub-committee member Maddie Williams felt the event was exciting for both herself and her dog. For Morgan, the time and energy spent organizing the event was all worth it.